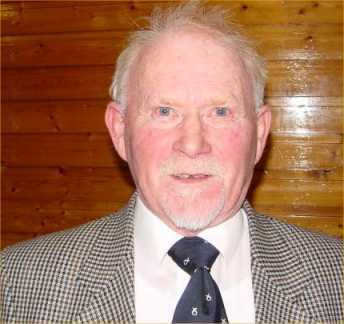 I was born in Pulteneytown on 21st September 1938 at 27 Huddart Street and, went to the Academy school in 1943. In 1949 I went to Wick High and left in November 1953. After being the message boy in the Groat for six months I left to go aboard the seine-net boat Bonito WK20. I took my ticket in 1965 and, was the representative for Wick on the board of the Scottish Fishermen's Organisation for 20 years and, I remained a fisherman until 1995 when I sold my boat. In 1996 I joined the Scottish Fisherman's Federation as a Liaison officer as I still am. Should I be successful and get elected I will be a full time councillor. The main things I would hope to achieve is firstly, get an inquiry into the way that the A9 from Latheron to Wick was downgraded and who was responsible for pushing it through without any proper discussions. Get the Highland council to devolve some of its departments to Wick so we get some permanent jobs without our young having to move away and, further accentuate the drift South. Make a point of finding out what is being done about the mindless vandalism being waged on the shops and residents in various areas of the town and, how it is to be combated. This is expensive for everyone and, the perpetrators seldom get a punishment that fits the crime, whether it is property or not, someone has to pay and, invariably it is the victim who suffers. Being a fisherman I am deeply worried about the present state of the harbour and the fishing. This was the only industry in the town for over two hundred years. Successive unionist governments have set about to destroy what in effect, was small family businesses. Beginning with Ted Heath in 1970 right up to the present one. Now any independent business which tries to make its way in the town is strangled by firstly the business rates, then red tape, another deterrent to small business men/women trying to make a living within the area. It is no wonder that the town centre is almost a ghost area. Should Scotland achieve her potential and control her own resources. She can withdraw from the Common Fisheries Policy and, renegotiate a deal which would not put one of our main Industries on a three day week while, allowing nations with no historical record of fishing there, into the North sea while our fishermen are being made bankrupt. This was one of the benefits of the Lib/Lab pact agreeing to anything that was set in front of them and, saying there is no other way but the Lib/Lab way. This was nothing but a stitch up from the beginning with Ross Finnie the bag man. We need to get the jobs which the Highland council and, the utilities have moved from Wick to other areas. Such as the Water board and the Hydro Board be made return to provide employment for young families, as we have lost 250 local government jobs this would help to counter the effect of the loss of the fishing Industry, due to political interference. Hopefully this will help stop the degradation which has blighted us for so long. By believing the promises that have never been fulfilled and, accepting that we can do nothing about it . We can, but it is only by our own efforts.